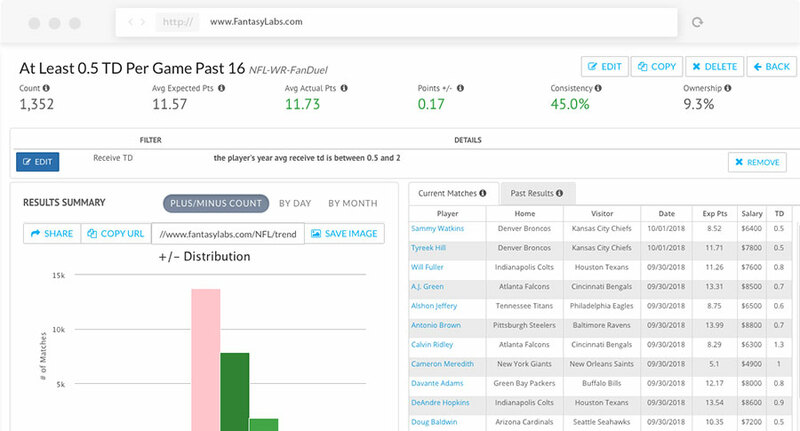 The DFS Trends tool allows you to access our massive database of stats to see how much value specific parameters have historically provided on DraftKings and FanDuel. See the current matches of any trend for that day’s DFS slate. Current matches are also displayed in your Player Model. Take any idea or theory and immediately test its accuracy in terms of fantasy value. 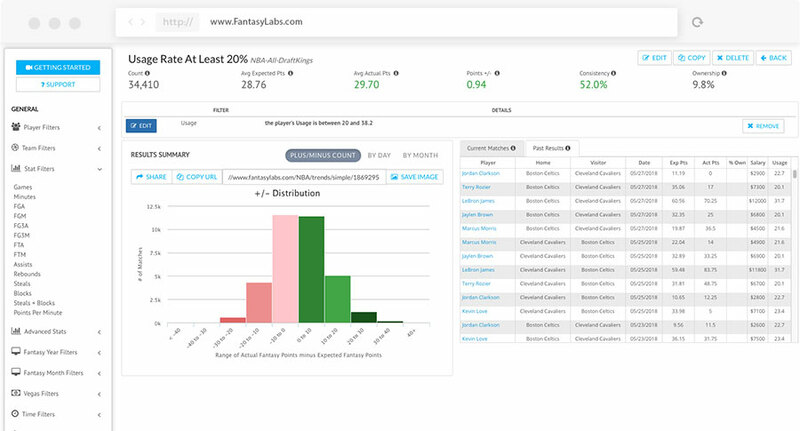 Put data to common theories or DFS myths.